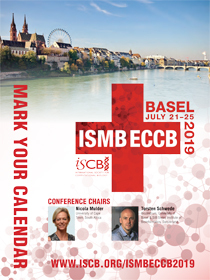 April 24, 2019: ISMB/ECCB 2019: 3 Month Countdown - Join us in Basel! We are now accepting submissions of full-length papers to be featured and published in conjunction with the conference. Authors of selected papers will be invited to present their work at the meeting. In addition, we have arranged partnerships with the journals Genome Research and the Journal of Computational Biology to publish high-quality papers. Our program committee will review all submitted papers in collaboration with the journal editors. We invite you to take advantage of this unique opportunity. Please use the EasyChair system to submit your manuscript at http://www.easychair.org/conferences/?conf=recombsbrgdream2012. Instructions on manuscript submission, as well as information about the program committee who will review papers is also available on the conference website at http://recomb-2012.c2b2.columbia.edu. We will also be opening conference registration and a call for abstracts very soon. We hope that you will consider submitting a paper, and look forward to an exciting meeting in November. We are pleased to submit to you our annual ISMB Focus Issue newsletter, which includes features on some of the most important ISCB activities and initiatives of this past year. July 15, 2012 - Long Beach, CA - At the 20th annual international conference on Intelligent Systems for Molecular Biology (ISMB), the president of the International Society for Computational Biology (ISCB), Burkhard Rost, together with Alex Bateman, senior investigator of the Wellcome Trust Sanger Institute, will announce on Sunday, July 15th, a competition to improve the existing Wikipedia articles about any aspect of computational biology. A key component of the ISCB's mission to further the scientific understanding of living systems through computation is to communicate this knowledge to the public at large. Wikipedia has become an important way to communicate all types of science to the public. The ISCB aims to further its mission by increasing the quality of Wikipedia articles about computational biology, and by improving accessibility to this information via Wikipedia. This extends the work of PLoS Computational Biology (an official journal of the ISCB), which links with Wikipedia to provide Education Track articles. By introducing a competition during ISMB, the ISCB will capitalize on the depth of expertise among its members in attendance at ISMB, and through its community of members and colleagues around the world to support the Computational Biology WikiProject (en.wikipedia.org/wiki/Wikipedia:WikiProject_Computational_Biology). As Wikipedia is a collaborative endeavor, the competition will be open to both individuals and groups, and prizes will be awarded for best contributions. The International Society for Computational Biology is a not-for-profit scholarly society based in La Jolla, California, at the San Diego Supercomputer Center on the campus of the University of California, San Diego. The ISCB has a global membership of nearly 3,000 researchers from 70 countries. For more information, visit www.iscb.org. Voting will close on July 25th and the new leaders will be announced as soon as possible following ratification of the results by the ISCB Board of Directors and the Student Council Leaders in August. ISCB-Asia/SCCG 2012, co-hosted by ISCB and BGI, will be held in Shenzhen, China from December 17-19. Confirmed keynote speakers include Gunnar von Heijne, Philip Greene, Piero Carninci, Takashi Ito, Eric Xing and Zhiping Weng. They will be joined by several prominent invited speakers in special sessions including: computational tools for NGS, cancer informatics, and cloud and work flows for reproducible biology. ISCB is known for hosting a variety of international meetings including ISMB, while BGI of Shenzhen is one of the world's largest sequencing centers. Shenzhen is a booming city with easy access from adjacent Hong Kong and a pleasant climate during December. 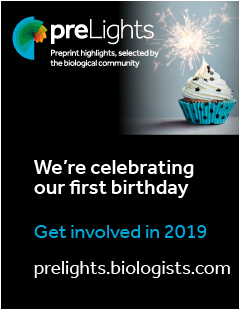 We cordially invite you to submit original research in any area of computational biology as a Paper or Poster, and recently published research as a Highlights. Topics areas may include, but are not limited to: computational tools for NGS, cancer genome informatics, cloud and work flows for reproducible bioinformatics, protein bioinformatics, metagenomics, RNA informatics, machine learning, and open problems in computational biology. Original research papers are highly encouraged. Please submit your papers directly to the ISCB submission site at www.iscb.org/submissions/index.php?id=124. Manuscripts should be in pdf format using a minimum of 10pt font at a maximum of 10 pages, including abstract, images/figures, and references (page margins must be at least 6mm or .5 inch). 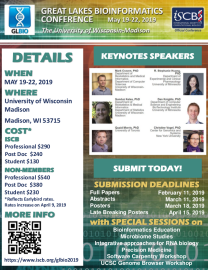 Accepted proceedings papers will be submitted to a special issue of BMC Bioinformatics/BMC Genomics or recommended for publication in Omics, or Gigascience. Submission of relevant review or trends in technology papers is also encouraged and will be considered for publication in a special issue of Briefings in Bioinformatics. Papers published within the last 12 months or papers that are in press are acceptable only if already available through the journal web site. Note that accepted presenters are encouraged to also discuss more recent work, however, that work will not be considered in the decision. Up to 2 papers can be submitted as one single PDF if the authors intend to present the results of multiple qualifying papers. Please submit your Highlights papers directly to the ISCB submission site at www.iscb.org/submissions/index.php?id=128. All poster abstracts to be included in the conference program must be submitted using the conference submission site by the abstract deadline. Space for posters is limited, and while we will make every effort to accommodate all interested groups, we advise you to submit your poster well before the deadline. Please submit your poster directly to the ISCB submission site at www.iscb.org/submissions/index.php?id=129. Some of the details in this mail differ than previous notices about submission opportunities and dates from previous notices. Please refer to these dates as the final submission dates, and note that requests to accept late submissions for any reason cannot be considered. We look forward to receiving your submissions and welcoming you to Shenzhen in December! As a final reminder, ISCB is seeking proposals from individuals or groups interested in hosting the next open ISCB-Asia conference, slated for the third quarter of 2013, to co-organize this meeting with ISCB anywhere in the Asia region. Without exception the proposal deadline is the 1st of August, 2012. If you are not personally interested but know of someone else who could do an excellent job of organizing this event, please feel free to forward this mail. An overview of ISCB, its expansion into regionally-based international meetings, and the details of the proposal requirements are all specified below. 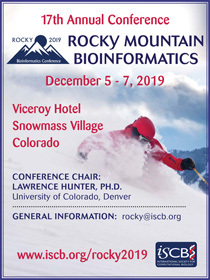 Please join us for the 10th Annual Rocky Mountain Bioinformatics Conference! The Rocky conference series has grown from a small regional event into an international program with a spotlight on regional development in the computational biosciences. Invited and accepted presenters represent a broad spectrum of universities, industrial enterprises, government laboratories, and medical libraries from around the world. The meeting is a chance to get to know your colleagues near and far, seek collaborative opportunities, and find synergies that can drive our field forward. CALL FOR ABSTRACTS: The Rocky 2012 Conference (www.iscb.org/rocky2012) provides opportunities for short flash presentations (10 minute talks) on current projects from as many attendees as possible. 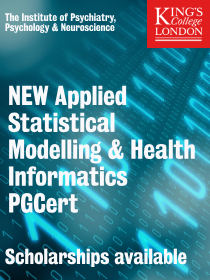 Original presentations (including significant works-in-progress) are solicited in all areas that involve the application of advanced computational methods to significant problems in biology or medicine. Submitters are given the option to apply for a 10-minute "flash" oral presentation, a poster presentation, or both. We will attempt to accommodate all requests from authors accepted for presentation. The submission form is located here: www.iscb.org/rocky2012-program/rocky2012-call-for-presentations. EARLY REGISTRATION IS OPEN: Take advantage of early registration rates by visiting: www.iscb.org/rocky2012-register. Please note that accepted presenters must register as a conference attendee by November 6 in order to give a presentation at Rocky 2012. We look forward to your participation! Please feel free to share this invitation with your colleagues and collaborators - the Rocky conference offers a special Academic Retreat package for groups attending from the same lab or school, including a free student registration.